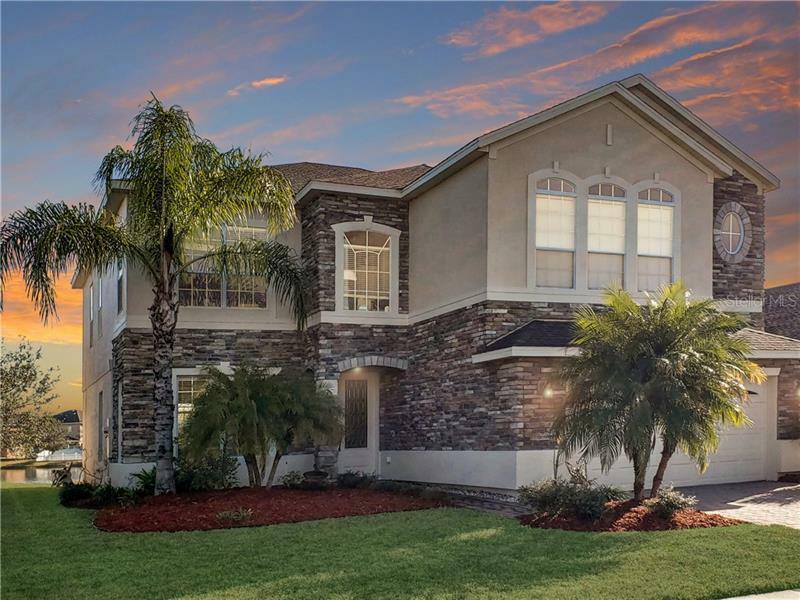 Now's your chance to own this gorgeous 4 bedroom 2.5 bathroom home located in the gated "Cedar Bend" community of the highly sought after area of Wyndham Lakes. Situated on a premium pond view lot for relaxing and enjoying the Florida lifestyle. As you enter through the beautiful glass door and mosaic tile entryway this almost 3000 sf home features tile throughout first floor formal living/dining space and a second dining area off the kitchen. Entertaining is easy in your beautiful kitchen that includes 42" cabinets & stainless steel appliances wet bar & roll out trays in pantry. Enjoy a large open family room with french doors that allows access to the spacious pond front back yard. This home is bright and cheerful with plenty of windows to view the fountain on the pond. The Master Suite features a garden tub with separate shower cultured marble vanity and a spacious walk-in closet. The remaining bedrooms surround a generous bonus/loft area with surround sound perfect for watching movies. New exterior paint in August of 2017. Just a short walk to the community pool and walking distance to local schools and just a short drive from the Orlando International Airport local attractions shopping restaurants & beaches. Commuting is easy with the SunRail station just a few miles away. Come see everything this property has to offer. Pet Restrictions: For questions pertaining to pet rules restrictions, please contact the HOA at 407-781-1188 or via email at residentsupport@lelandmanagement.com.